One of the things that I like about short-term mission groups is that they bring energy and that can be infectious in a positive way. This past week Pastor Bob Bjerkaas from Church in the Canyon in Calabasas, California brought a group of young people to minister with us. Most of the students he brought were Lacrosse players that he coached. I enjoyed seeing their concern for the people and outreach of Harbor Mid-City Church. As I mentioned in my last post they built a chicken coop for Stephen and Bradford Phelan and their family. They also did a lot of work for Vicente and Billy Salinas and their neighbors. Vicente and Billy live in an apartment complex in City Heights. Their landlord doesn’t take very good care of the place. It was in need of repair and some TLC. Bob and company got excited about taking on this project. It was so encouraging to see them love on and minister in this way to Billy and Vicente and their family. 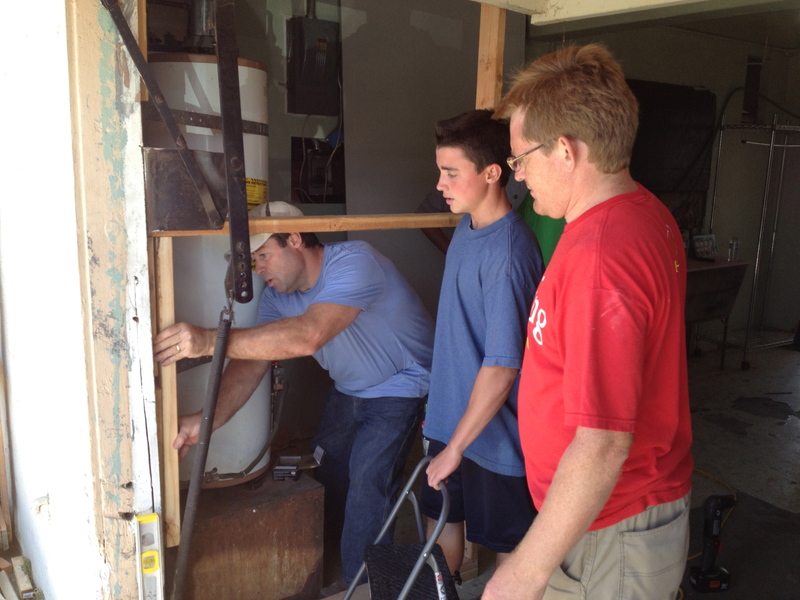 On Saturday they were working on paneling and repairing their garage. The group had planned to go to the beach in the afternoon, but they didn’t finish by noon, so they didn’t let up until they finished their work at 3 PM. Wow, I was impressed! Here we had a bunch of high school students with the fun of the beach waiting, but they were committed to getting the project done before they headed out to the beach. 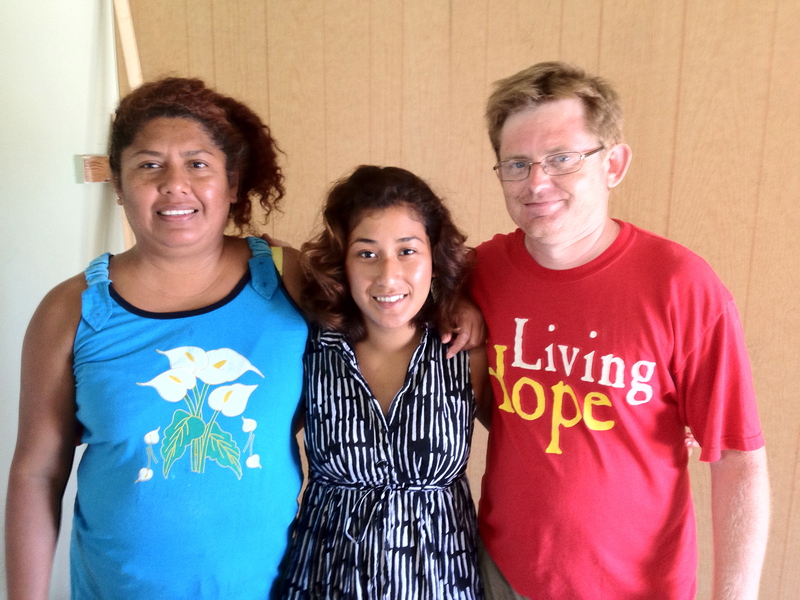 Many thanks to Bob and the group for taking the risk with us to be our first short-term mission team. I thank the Lord for them, and I’m encouraged by how they blessed the church and the community of City Heights! Dawn and I continue our house hunting. It’s discouraging at times that the houses are so expensive, and even at that often not in very good shape. Please continue to pray for our housing need. On a sad note, I know many of you have been interested and following the updates on Petra Anderson and her family. Petra’s mom, Kim Anderson went home with the Lord on Monday night. Let’s lift up their family in prayer. I was just thinking about an update of Petra. I am so sorry about her mother. It is hard to imagine how a family can take any more. Praying for them and you. Yes, I was hoping and praying that Kim would be healed. I guess, ultimately she was and is, but it’s hard on the family. Your prayers are appreciated. Sometimes bad things come in like a flood. I’m so sorry about Kim. The Anderson family and those that surround them are experiencing more than their share of suffering and sorrow right now. It’s comforting to know the Lord is near to the brokenhearted. We are bouncing around some, but we do have a place to stay now for two weeks. Hopefully, we can find a place to live by then. Sometimes bad things comes in like a flood. So sorry to hear about Kim A. Keep praying for you. Where are you until a home is found? Are you ok? Thank you for keeping us posted about the Anderson family. Sad but hope filled all in one. I’m glad that so many people are holding up their family in prayer. I trust the family senses God’s presence during this difficult time.